Are you considering creating a research panel, but you’re not quite sure how to get started? The webinar will take place at 1pm Eastern time/ 10am Pacific time. (Don’t worry, if you can’t make it at that time, sign up anyway and we’ll send you a link to the webinar video and slides). 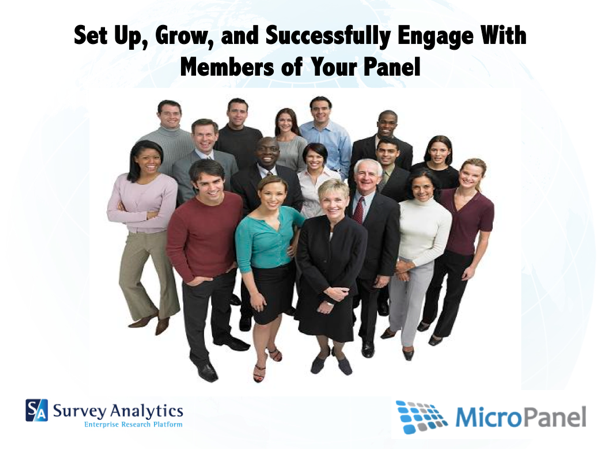 In this 1-hour webinar, members of the Survey Analytics team will share tips, tricks and tactics for how to successfully create and manage an online research panel, using examples from Survey Analytics' panel management software, MicroPanel. ▪ What is Holding You Back From Starting A Panel? Access the webinar video and slides by following this link.